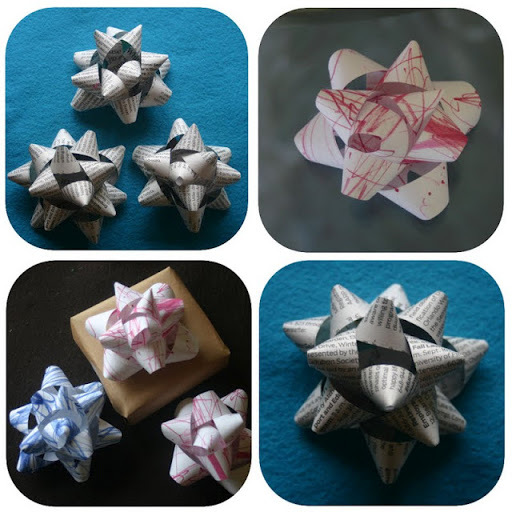 I came across this fabulous blog just after Christmas. 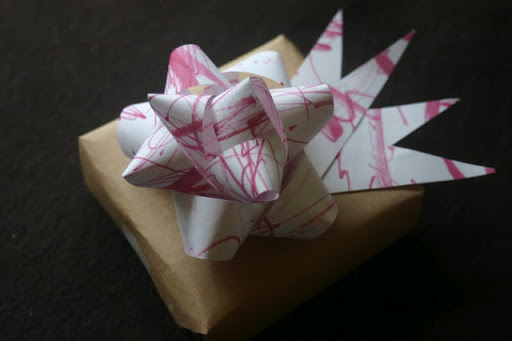 I love this Scribble Bow idea….if you have kids it would be great fun to do and such a cute way to finish off a handmade gift. Unfortunately I don’t have any children at my disposal at home so I am going to do this with the children at work. These ones above are made from magazine pages, I think they look quite masculine and would go well with The Perfect Pint Collection Hampers I am working on 🙂 can’t wait to give them a whirl. Thank you to Lines Across for such a unique idea! Certainly something we will try, and very 'green' I'm all for recycling! 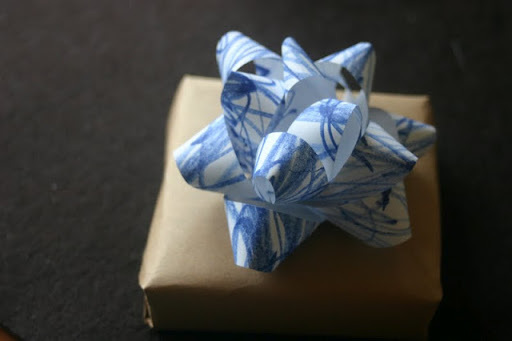 Love this idea especially using the magazines.I have, in the past, used magazines for the actual wrapping paper. 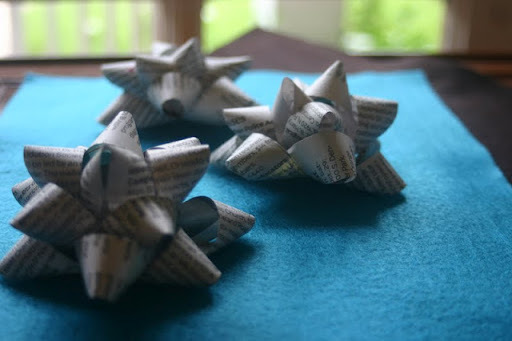 Currently I use the endless junk mail catalogues as a mat for gluing small parts in craft activities when finished turn the page and have a new one. haha same here, I love it when I get some junk through the door now, I use it as a mat when glueing!